You won't believe your eyes while reading this, but this is true. 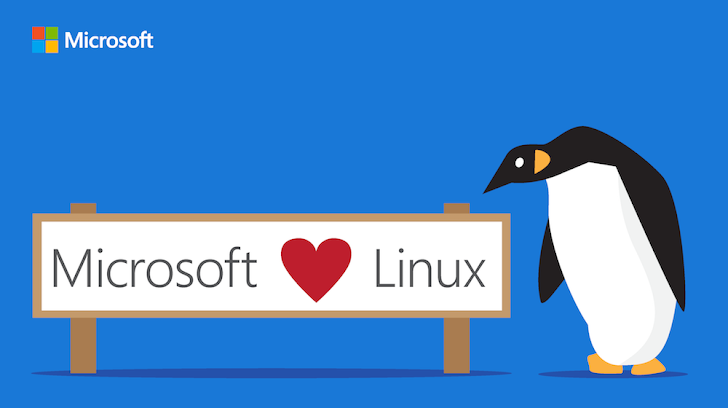 Microsoft just joined the Linux Foundation as a high-paying Platinum member. Microsoft's love with open source community is embracing as time passes. At its first Connect event in 2013, the company launched Visual Studio 2013. A year later, Microsoft open sourced .NET, and last year, it open sourced the Visual Studio Code Editor, as well. Not just that, Microsoft partnered with Canonical to bring Ubuntu on Windows 10, worked with FreeBSD to develop a Virtual Machine image for its Azure cloud, and chosen Ubuntu as the OS for its Cloud-based Big Data services. At its 2016 Connect developer event in New York today, Microsoft announced that the company is joining the Linux Foundation as a Platinum member – the highest level of membership, which costs $500,000 annually. Besides this, Microsoft also announced that tech giant Google has also joined on with the independent .NET Foundation. The Linux Foundation is a nonprofit organization that oversees the development of the very popular free operating system Linux, alongside advances open technology development as well as commercial adoption. Microsoft has already contributed to a number of its open source projects, including Node.js Foundation, Open Container Initiative, OpenDaylight, R Consortium, and Open API Initiative. However, today's announcement from Microsoft still comes as a surprise to many, as Former Microsoft Chief Steve Ballmer once said, "Linux is a cancer," in an interview with the Chicago Sun-Times. "As part of its effort to work more closely with the open source community, Microsoft on Wednesday announced it has joined the Linux Foundation as a Platinum Member. Microsoft's membership in the Linux Foundation will benefit customers through increased collaboration and innovation among a diverse ecosystem." Microsoft believes its latest move will benefit its customers through increased collaboration and innovation. "By becoming a Linux Foundation Platinum member, Microsoft is better able to collaborate with the open source community to deliver transformative mobile and cloud experiences to more people. Microsoft has been a key contributor to many projects, and we see the company intensifying its involvement and commitment to open development." Other Linux Foundation Platinum members include Cisco, Huawei, IBM, Intel, Oracle, Qualcomm, Samsung, Fujitsu, HPE, and NEC. While Gold sponsors include Google, Facebook and more than a dozen other prominent open source users.